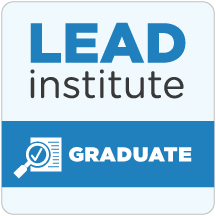 Awards & Recognition – H.E.A.L. 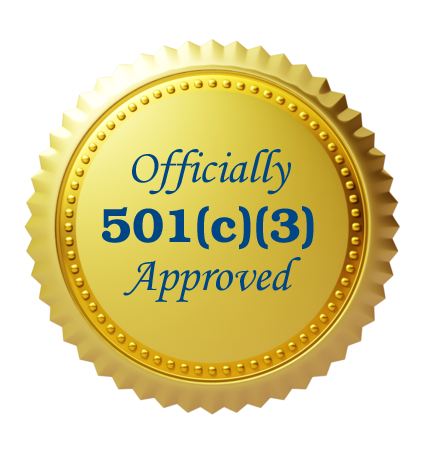 With the support of the Founders, Board of Directors, and Team. 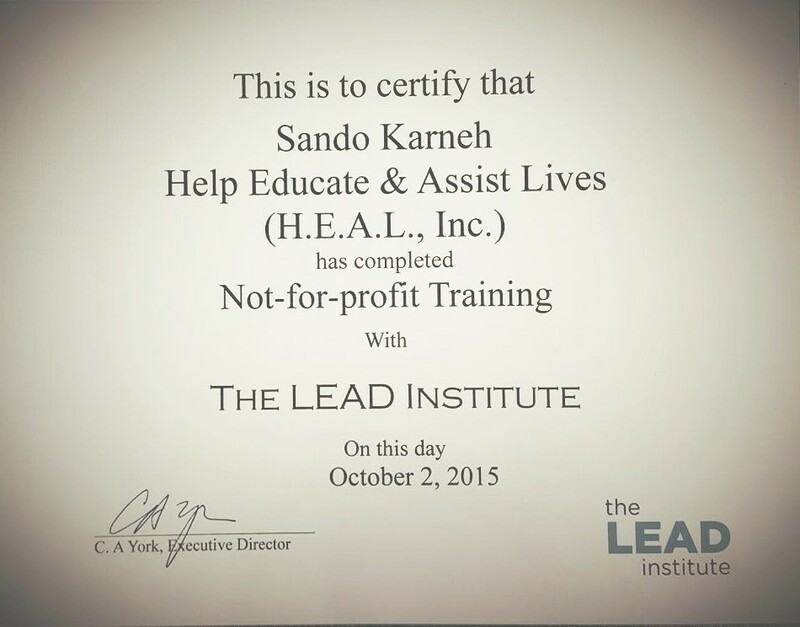 Co-Founder and Executive Director, Sando Karneh, completed Not-for-profit training at the Atlanta LEAD Institute. 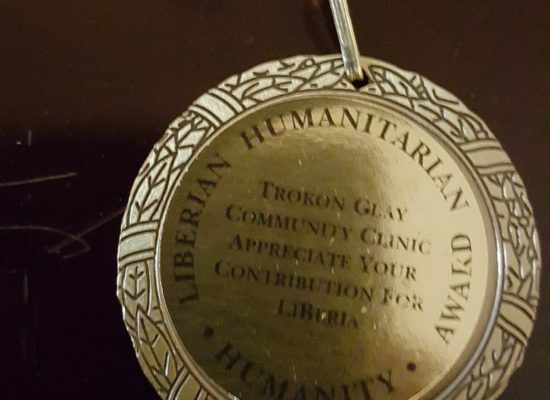 H.E.A.L Inc. received the Liberian Humanitarian Award presented by the Trokon Glay Community Clinic. This is H.E.A.L Inc. first humanitarian award, and we are proud that it came from a Liberian organization that appreciated our efforts during the Ebola crisis. This award is special, and we share it with all those who lost their lives, and the heroes and sheroes that fought to eradicate this dreadful disease from our beloved country. 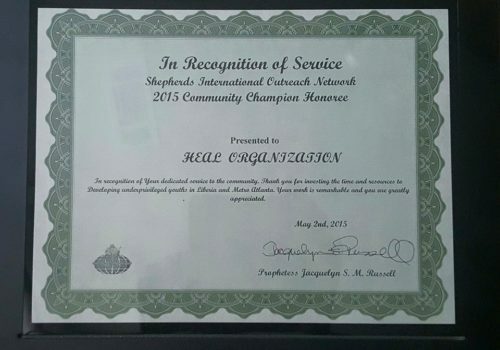 H.E.A.L Inc. received the 2015 Community Champion Honoree in recognition of its dedicated service to the community.